With the rise of AI / Machine Learning, microservices are more important than ever. As teams adopt microservice-oriented architectures, often serving powerful ML models, they build better products faster, outpacing their competition. What is a scalable microservice? What is the advantage of Serverless Microservices? In monolithic applications the developer has to keep the concept of the server in view at all times. The nature of using a contained microservice allows for various functions to be run in parallel without affecting performance. So long as each microservice is written to be computationally efficient, a developer doesn't need to focus on the servers. Imagine working at a large news organization, and having the ongoing problem of image resizing across dozens of web properties. A resizing microservice would allow any engineer in the org to add the resizing service to the code they're working on with a simple API call. Data Scientists often work in Python or R, while the platform team may be in Scala or Java. 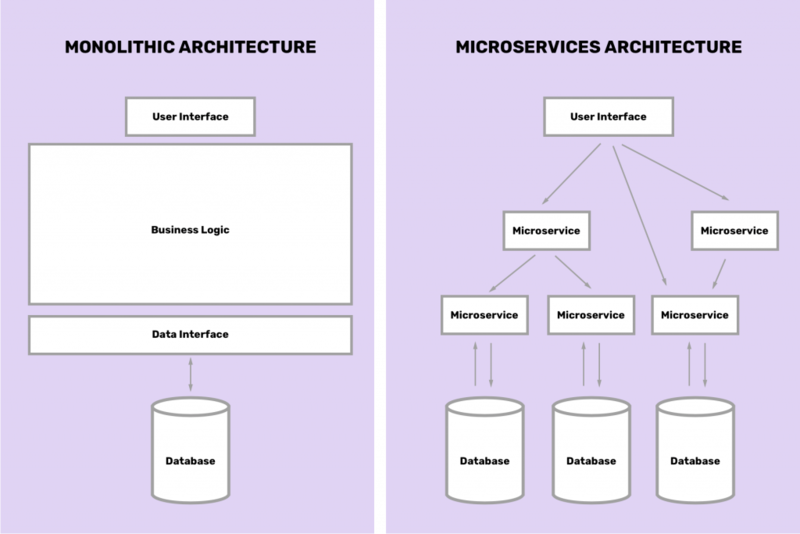 Because microservices communicate via API it opens up the possibilities for interoperability. Various open-source and cloud-based services are emerging to automate the DevOps, often called Function as a Service or FaaS. Microservices can be easily used together, like ingredients in a recipe, to get the result you're looking for. For example, you could have one microservice that grabs all of the photos on your site, runs each through a facial recognition microservice and a license plate recognition microservice, sends the photos that contain faces through a service that blurs out each face, then sends that photo back to your database to replace the uncensored image. Over time, your organization will build up a portfolio of favorite microservices that can easily be discovered and composed. Microservices can give you the freedom to use different mixes of cloud services. You may want to run your AI/ML models on one provider's high-performance GPUs, while using a different provider for cost-efficient database hosting. Developers and teams can work independently to develop, deploy, and scale their microservices — they can also push fixes for bugs without affecting the rest of the infrastructure. 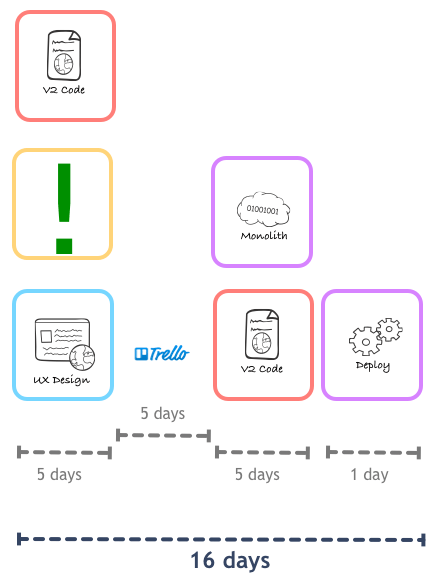 This greatly simplifies the orchestration of timelines by Product and Dev Managers. Modern apps take advantage of the wide array of cloud infrastructure that's available today. Since these services are generally integrated via APIs, microservices fit right in. Serverless microservices are only spun up when needed and all of the major hosting services only charge for what you use (often by the second or 100ms intervals). The savings can be massive — especially for AI/ML models that often have high compute needs that come in bursts. Your code is stateless and will receive inputs via API, run the code in the language of your choice, and return its results back via API. which handle security, permissioning, GPU/CPU management, containerizing, language support, etc. There's a lot to think about, and if you don't wish to be doing a lot of heavy DevOps, we strongly recommend using a managed platform. Your API endpoints This is how your microservice will receive data in, and will send data out. If you need a refresher on APIs, check this out. You're going to need to build some infrastructure that allows your team to version APIs, keep track of who's responsible for what, and that can index the various microservices. The information barriers of your organization can be reflected in your applications—services are spread out so you'll need to use tools for discovery, versioning, and communication around each microservice. These tools are available, but require either building your own system or utilizing a platform built for this. You'll need to have clear communication on who's responsible for each microservice. Testing and deployment can be more difficult, but tools are emerging to automate these issues. Microservice latencies are generally in milliseconds, but that's still a bit slower than calls within a monolithic service process. You'll gain advantage by being able to run many microservices elastically in parallel—so the performance benefits outweigh the costs in apps of much complexity. There are many general purpose cloud-based serverless hosting solutions from the big players. They work great for deploying traditional code on a 'pay as you use' basis. Interestingly, as we set out to build our AI marketplace we had a need 5 years ago to build a serverless microservice platform that was optimized for deploying AI/ML models. Algorithmia began running services even before AWS Lambda hit the market, and is optimized for the entire workflow of putting AI/ML models into continuous deployment. If you're ready to begin your journey into Serverless Microservices, sign up for Algorithmia, and enjoy 5,000 free credits each month to explore and experiment.